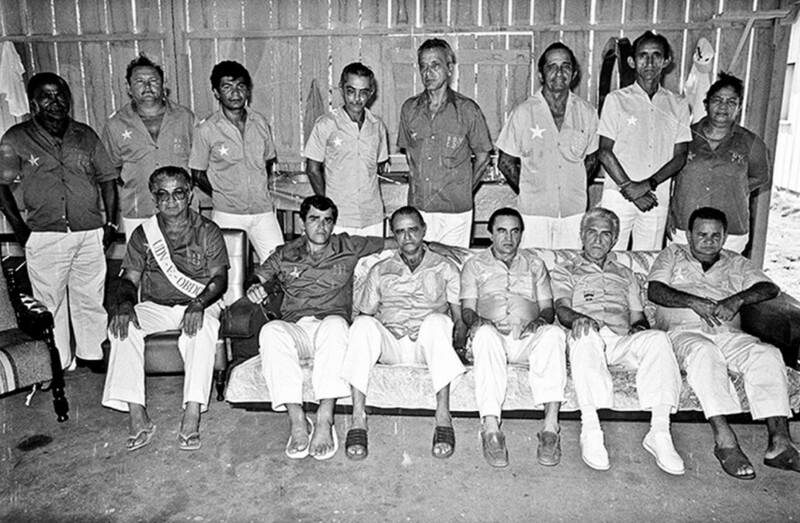 Standing from left to right: Mestres Pernambuco, Herculano, Jair, José Luiz, Florêncio, Braga, Nonato, and Pequenina; seated from left to right: Mestres Sidon, Roberto Souto, Paixão, Adamir, Monteiro, and Manoel Nogueira (Jaru – RO, 1987) | Photo: Yuugi Makiuchi. Within the structure of the Beneficent Spiritist Center União do Vegetal exists the Council of the Recordation of the Teachings of Mestre Gabriel. It’s a body of great importance within the Center because it’s responsible for the preservation of the teachings, in the form brought by Mestre José Gabriel da Costa, when he created the UDV and prepared the first mestres to give continuity to the work started by him. These first mestres, today, make up the Council of Recordation. Thanks to them, other mestres who were taught afterwards continue to maintain the principles, values, and teachings in the same form that Mestre Gabriel left them when he completed his mission. But when did this Council meet for the first time? And how did the idea for its creation come about? Today, April 17th 2017, marks exactly 30 years since the “mestres antigos” (literally translated as “old mestres”, or more commonly heard in English as “the mestres of the origin”) – as they are lovingly called in the UDV- met for the first time to study the teachings. Mestre José Luiz de Oliveira, one of the members of the Council of Recordation, remembers, Mestre Gabriel said: “I could give all the knowledge to just one of you, but I’m not going to do it like that. I am going to give a little bit to each one so that in order to have all the knowledge you will have to unite. Therefore, in 1987, at Núcleo Mestre Rubens in Jaru-RO, the Council of the Recordation of the Teachings of Mestre Gabriel, as we know it today, was born. The idea for the creation of the Council of Recordation emerged shortly before this first meeting of the mestres of the origin. At that time, the Cadre of Mestres of the UDV would meet in conventions to go over teachings and administrative subjects related to the organization of our religion. During this period, it was possible for all the mestres of the UDV to meet at Sede Geral because their number wasn’t too big. Just to have an idea, the Convention of 1983, shortly after the transfer of Sede Geral from Porto Velho-RO to Brasília-DF (1982), brought together 60 mestres. However, at these conventions it was no longer so easy to go over teachings because the administrative agenda required a lot of time, and it didn’t leave much extra time for clarifying questions or to study the teachings in a more detailed way. 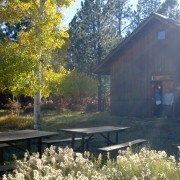 Observing this situation, Mestre Francisco Adamir de Lima – one of the mestres taught by Mestre Gabriel himself – felt it necessary for the mestres of the origin to meet in Session to just go over the teachings. But it was only at the convention of 1985, held at Núcleo Samaúma-SP, that the idea took shape. During this encounter, Mestre Márcio da Rós (who currently holds the Representation of Núcleo Conselheiro Salomão Gabriel, in João Pessoa-PB) spoke to Mestre Adamir about the concerns he had in respect to the preservation of the teachings, and about the thought that he had to propose at that encounter that the Mestres of the origin meet in Session to remember the word of the Mestre. Mestre Adamir thought it was a good idea, and asked Márcio Da Rós if he [M. Adamir] could present the proposal himself because he wanted to offer Núcleo Mestre Rubens, of which he was the Representative, to host this meeting with the mestres of the origin. The idea was approved at the encounter and two years later, on April 17th and 18th of 1987, in the city of Jarú-RO, the first meeting of what would become the Council of the Recordation of the Teachings of Mestre Gabriel was held. 15 mestres participated in this first meeting: José Luiz de Oliveira, Raimundo Carneiro Braga, Florêncio Siqueira de Carvalho, Raimundo Monteiro de Souza, Raimunda Ferreira da Costa (Pequenina), Jair Gabriel da Costa, Manoel Nogueira da Silva, Roberto Souto Maior, Francisco dos Anjos Feitoza (Sidon), Francisco Adamir de Lima, Cícero Alexandre Lopes, Francisco Herculano de Oliveira, Raimundo Pereira da Paixão, Manoel Severino Félix (Pernambuco) and Raimundo Nonato Marques. At the time, Mestre João Ferreira de Souza (Mestre Janico) participated in the beginning of the meeting, but he had to leave because he was ill. Mestres Antônio Domingos Ramos, Hilton Pereira Pinho and Bartolomeu Pinheiro do Nascimento had already disincarnated. Four other mestres, who had also received the star from Mestre Gabriel, had been removed from the UDV and were not present (Modesto Alves de Souza, Waldemar Santos, Manuel Messias Paula de Sá and Napoleão Victor de Oliveira). Following this same line of thought, Mestre Roberto Souto also said at the time: “the tendency is that when people come to understand one another, principally the old timers from the beginning, teachings come presenting themselves, arriving to us. Happy will be the people that come to the União do Vegetal because they will receive the things already processed and worked out, everything in its proper place. In the following year of 1988, at the first encounter of the newly-created Council of Administration, the creation of the Council of the Recordation of the Teachings of Mestre Gabriel was approved, constituted by the founding mestres of the Center. The name of this Council was proposed by Mestre Monteiro, and added to the first Bulletin of Consciousness in Administration, also approved at this same encounter in 1988. As soon as the Council of Recordation was created, the criterion existed that when one of its members disincarnated another person, someone who had been part of the Instructive Body in the presence of Mestre Gabriel and who had become part of the Cadre of Mestres, would be convoked to join the Council. In this manner, in 1989, when Mestre Janico passed away, Mestre Francisco Roberto Evangelista was brought to be part of the Council. After this, it was noticed, that this criterion of filling vacancies of the places might cause questions and discontentment. Then, for this motive, the criterion was discontinued. Currently, mestres José Luiz de Oliveira, Raimundo Monteiro de Souza, Francisco Herculano de Oliveira, Francisco Roberto Evangelista, Roberto Souto Maior, and Jair Gabriel da Costa are members of the Council of Recordation. To all these mestres of the Council of Recordation, our thanks for your work preserving the teachings and the doctrine of the Mestre; showing us through your examples the importance and necessity of always keeping ourselves faithful to what Mestre Gabriel taught. *André Manta is Representative Mestre of Núcleo Estrela da Manhã (Camaçari-BA) and Vice-Director of External Communication for the Department of Memory and Communication of the General Directorate. 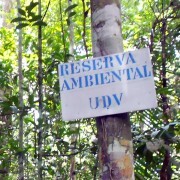 Text written from the archives of the DMC and the research of Mestres Yuugi Makiuchi (Núcleo Gaspar, Brasília-DF), Márcio Da Rós (Núcleo Conselheiro Salomão Gabriel, João Pessoa-PB) and Flávio Mesquita (Authorized Distribution of Vegetal of Imaruí, Imaruí-SC).